How Could You Improve Your Business’ Client Retention? Client retention isn’t always straightforward. Even when you have a good grasp of your target market, getting them to pay any attention to your business can be difficult. And simply boosting sales doesn’t guarantee that those customers are going to stick around. Building up a client base of loyal customers requires a lot of hard work. The goal is to develop lasting relationships and build trust with clients. You’re trying to convince consumers that they’ll always get a better service with your business than they would with one of your competitors. How could you improve your business’ client retention? Here are a few ideas. Target potential customers on social media. You might be struggling to retain clients because you’re simply not targeting the right kind of consumers. It’s the modern age, so you should be using modern resources to find your target market. And, in today’s business world, social networks are the most effective platforms to spread the word about your brand. We’re talking about more than simply creating a few social media profiles and overloading posts with hashtags. We’re talking about actually creating a social media presence that’s interesting to followers. People don’t want to follow businesses with a transparent agenda to incessantly advertise their products and services. People want to follow accounts that actually post engaging and exciting content. You should keep up with the latest trends on social media. Take a look at topics and talking points that are starting discussions and getting people interested. If you can find a way to relate then people will relate to your business. Client retention is all about making human connections with consumers, as we’ll discuss in the rest of this article. You might also want to look into influencer marketing. 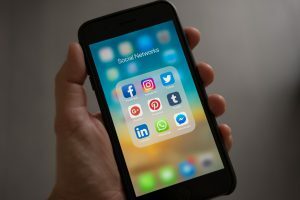 By getting the help of social media influencers with huge followings, you’ll be able to cut straight to the chase and reach potential customers through a voice that people already trust on the internet. You can get tools to help with your social media at GrowthSupermarket. If you start using the right resources and come to understand different social networks then your business can do more than simply follow hundreds of accounts in the hope that they’ll follow back. One of the best ways to improve client retention is to offer excellent customer service. At the end of the day, consumers connect with businesses that feel human and approachable. They want to feel as if they’re buying goods and services from companies which are run by real people. And that’s why it’s so important for every single employee to be on board with your brand. You need to value your team so that they’ll value your business and its clients. You can make a difference to your workers by making their lives better in small ways. For instance, free healthcare and an early finish on Fridays are examples of perks that could make your employees appreciate you as their leader. In turn, they’ll be more productive and deliver a better service to customers. If you want to retain customers then you need to give them a reason to value your brand over the brands of your competitors. You might be selling products or services that are nearly identical to those sold by your rivals in the industry. 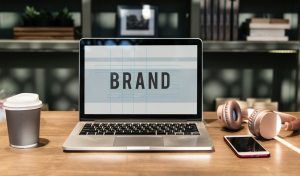 The only way that you’re going to convince customers to choose you and develop a lasting relationship is to make sure your brand stands out in some way. For example, you might sell the same product as your competitors, but your business might be the only one that donates to a specific charity or runs its operations in an eco-friendly manner. Standing for something could really help to make your brand engaging and improve your business’ client retention.